Tablebases.com has a variety of trestle style, rectangular style and T style table bases that are great for rectangular or oval table tops. These table bases have a narrow but long footprint that allows them to support longer tables without an overly wide base, and most models have more than one column for added strength. For odd size table tops, our T style bases are a great choice, as they can be spaced closely for shorter tables or farther apart for longer tables. T Style table bases are also great for creating desks and wheelchair accessible table tops. Tablebases.com also has a variety of individual table legs available for tables of any size. These heavy duty metal table legs can be placed at the corners of the table, leaving the sides and middle free for chairs and wheelchair access. 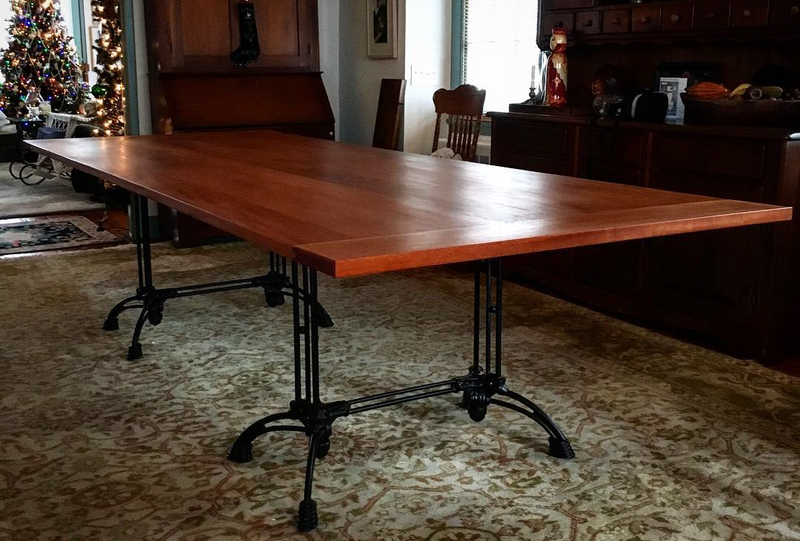 Our table legs, T style bases and many trestle and rectangular bases are also available at custom heights to perfectly fit your table top. If you need help selecting the best table base for your project, or want to order custom height table bases or legs, please contact customer service for assistance.